Justin Bieber has labelled himself as a loving, patient, gentle, and honest boyfriend! The full interview airs during a week-long edition of Radio Disney’s Celebrity Take with Jake, broadcasting from 7am ET from April 9 to 13. 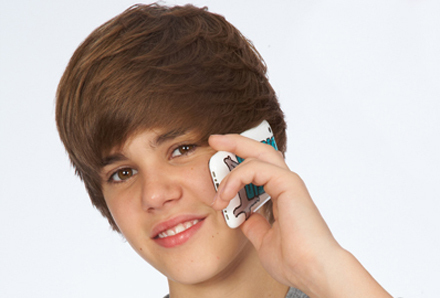 While Bieber’s love life may my on form, the singer is facing some fresh legal woes and is being sued over a phone prank. It comes after the pop sensation posted a telephone number to his 19 million followers on Twitter with the last two digits and urged fans to call him ‘right now’. However, while they tried to get the correct number, two residents of Texas claim they were plagued with over 1,000 calls, even though the tweet was quickly deleted. A lawyer representing the pair – a man named Kent and a woman named Dilice – is demanding they get compensation for the problems caused by the prank. In addition to monetary recompense they are also asking for an endorsement of Kent’s upcoming online project. Justin is likely hoping the legal action will not cost him too much, as the Canadian star recently purchased a $6m luxury home in California. Neighbours will include Steven Spielberg and Britney Spears, and the home includes a swimming pool and a guest house. He also reportedly plans to install a computer system which will control blinds, lights and other house gadgets.